Interactive lecture and hands-on skills. Every participant, upon successful completion of the course, will receive a Course Review CD and special online access to the student area containing review material that can be accessed 24/7. 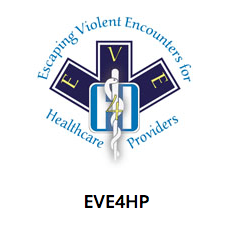 EVE4HP is an 8-hour course covering the basic skills required by any health facility staff when facing possible, or even imminent assault. Violence and assualt is NOT part of the job! To find Upcoming EVE - Healthcare Provider classes, please enter your zipcode and click 'Search' below.